Join Johan for a tutorial in making braided rugs. You will need your crochet hook size and strips of material 5/8” wide (old sheets torn into strips work great). These are beautiful homemade rugs for your home that will last for years! Intended for Adults. Registration required. Please call the Hanover Branch at (517) 905-1399 to save a spot. Oh, no! Turkey’s idea to change Farmer’s mind about dinner was locked in a box. You have 45 minutes to unlock the box before Farmer catches Turkey. 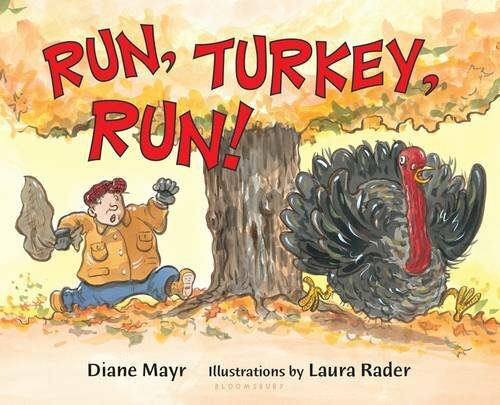 Based on the book, “Run, Turkey, Run,” by Diane Mayr. Hanover Branch in cooperation with BreakoutEDU. Join the Hanover Branch to learn how to stay healthy this winter with Essential Oils! Koleen will share what essential oils can do to promote wellness and support a healthy lifestyle. You can even take home a roller bottle, but you have to make it first. Registration required, so please call the Hanover Branch at (517) 905-1399 to save your spot. Stop by the Hanover Branch for the Friends of the Library Holiday Silent Auction! This is a perfect opportunity to get your shopping done early and acquire some wonderful, creative gifts for everyone on your list. For more information, please contact the Hanover Branch at (517) 905-1399. Calling families, students, teachers, and the Hanover Community! Join us at Hanover Elementary and Finish at the Hanover Branch! Promote reading and wellness in a fun new way with a story walk! Stroll around the community and read a book. 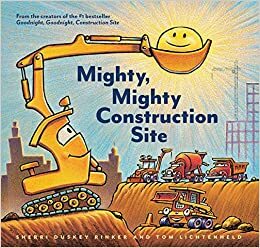 You are invited to join the Hanover Branch for a special Hanover Community StoryWalk featuring the book, Mighty, Mighty Construction Site by Sherri Duskey Rinker. Take a walk from Hanover Elementary to the Hanover Branch Library as you read the pages of the book. Enjoy discussing the delightful story with others along the way. Participate in a group book discussion and activities when you reach the library. Activities and crafts will remain in the library all week during open hours. StoryWalk is a great opportunity to join the community, library, school, and families together to encourage literacy in a fun, interactive way. Contact the Hanover Branch at (517) 905-1399 for more information. The StoryWalk® Project was created by Anne Ferguson of Montpelier, VT and developed in collaboration with the Kellogg Hubbard Library. StoryWalk® is a registered service owned by Mrs. Ferguson. This resource is supported in part by the Institute of Museum and Library Services administered by the Library of Michigan. Make your own string art mason jar. You can change the flowers to match the room or the season. Call the Hanover Branch at (517) 905-1399 to reserve your spot. Space is limited.